Just this week we learned about Lionsgate's plan to turn some of its movies into amusement park attractions, most notable among them The Hunger Games. What could be better than using a fictional story that revolves around forcing children to fight to the death for the pleasure of the upper-class as an entertainment destination? How about using a movie based on an actual tragedy that resulted in the deaths of thousands of people? Titanic is just one of the handful of films and television shows that 20th Century Fox is planning to use for its new (at minimum) 850 million-dollar theme park, set to open in Dubai in 2018, with the deal calling for three more parks to open at a later date. Other properties making their way to parks include Ice Age, The Simpsons, Sons of Anarchy (that should be fun! ), Planet of the Apes, Alien, and Rio. "We are working on creating an immersive experience that includes motion theater simulators and will allow you to experience what it was like to be on the Titanic in an exciting way," Jeffrey Godsick, president of Fox Consumer Products, told Variety. What does that mean exactly? A re-created Titanic to walk through, or the sinking of the ship? It might seem weird that Lionsgate is doing this with The Hunger Games, but that is a fictional story. An amusement park attraction where the basis is an actual, fatal accident is a little bit more unseemly. It will certainly be fascinating to see how Fox handles the delicate balance of building an entertainment attraction on something rooted in tragedy. So what do you think of this? 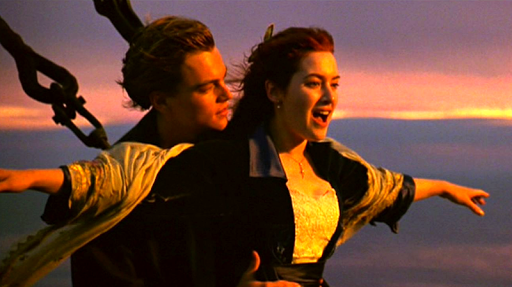 Would you be comfortable at the Titanic amusement park? Tell us why in the comments below.